BEIRUT Al Qaeda's branch in Iraq said it has merged with Syria's extremist Jabhat al-Nusra, a move that shows the rising confidence of radicals within the Syrian rebel movement and is likely to trigger renewed fears among its international backers. A website linked to Jabhat al-Nusra confirmed on Tuesday the merger with the Islamic State of Iraq, whose leader, Abu Bakr al-Baghdadi, first made the announcement in a 21-minute audio message posted on militant websites late Monday. Jabhat al-Nusra has taken an ever-bigger role in Syria's conflict over the last year, fighting in key battles and staging several large suicide bombings. The U.S. has designated it a terrorist organization. The Syrian group has made little secret of its ideological ties to the global jihadist movement and its links across the Iraqi border, but until now it has not officially declared itself to be part of al Qaeda. Al-Baghdadi said that his group  the Islamic State of Iraq  and Syria's Jabhat al-Nusra will now be known as the Islamic State in Iraq and the Levant. "It is time to announce to the Levantine people and the whole world that Jabhat al-Nusra is merely an extension and part of the Islamic State of Iraq," he said. He said that the Iraqi group was providing half of its budget to the conflict in Syria. Al-Baghdadi said that the Syrian group would have no separate leader but instead be led by the "people of Syria themselves"  implying that he would be in charge in both countries. 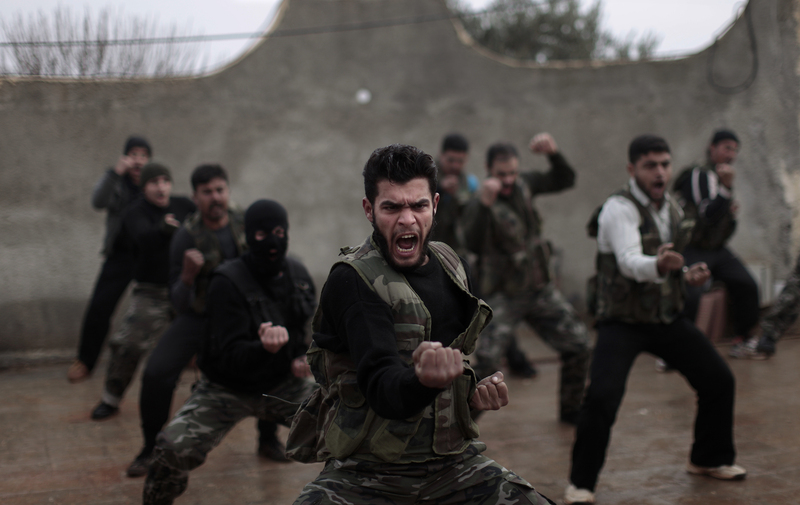 The formal merger of such a high-profile Syrian rebel group to al Qaeda is likely to spark concerns among backers of the opposition who are enemies of the global terror network, including both Western countries and Gulf Arab states. It may increase resentment of Jabhat al-Nusra among other rebel factions. Rebels have until now respected the radical group's fighters for their prowess on the battlefield, but a merger with al Qaeda will complicate any effort to send arms to rebels from abroad. A website linked to Jabhat al-Nusra known as al-Muhajir al-Islami  the Islamic emigrant  confirmed the merger. The authenticity of neither message could be independently confirmed, but statements posted on major militant websites are rarely disputed by extremist groups afterward. Jabhat al-Nusra emerged as an offshoot of Iraq's al Qaeda branch in early 2012, as one of a patchwork of disparate rebel groups in Syria. One of the most dramatic attacks by the group came on March 4, when 48 Syrian soldiers were killed in a well-coordinated ambush after seeking refuge across the frontier in Iraq following clashes with rebels on the Syrian side of the border. The attack occurred in Iraq's restive western province of Anbar, where al Qaeda is known to be active. A top Iraqi intelligence official told The Associated Press in Baghdad that they have always known that "al Qaeda in Iraq is directing Jabhat al-Nusra." He said they announced their unity because of "political, logistical and geographical circumstance." The official said Iraqi authorities will take "strict security measures to strike them." In an editorial published Tuesday in the Washington Post, Iraq's Prime Minister Nouri al-Maliki warned that a "Syria controlled in whole or part by al-Qaeda and its affiliates  an outcome that grows more likely by the day  would be more dangerous to both our countries than anything we've seen up to now." Iraqi officials say the jihadi groups are sharing three military training compounds, logistics, intelligence and weapons as they grow in strength around the Syria-Iraq border, particularly in a sprawling region called al-Jazeera, which they are trying to turn into a border sanctuary they can both exploit. It could serve as a base of operations to strike either side of the border. Baghdad officials said last week they have requested U.S. drone strikes against the fighters in Iraqi territory. A U.S. official confirmed that elements within the Iraqi government had inquired about drone strikes. But the official said the U.S. was waiting to respond until the top level of Iraqi leadership makes a formal request, which has not happened yet. All officials spoke anonymously as they were not authorized to give official statements to the media. Eastern Syria and western Iraq have a predominantly Sunni Muslim population like most of the rebels fighting President Bashar Assad, who belongs to the minority Alawite sect, an offshoot of Shiite Islam. The Baghdad government is dominated by Shiites, who are a majority in Iraq. The announcement came hours after a suicide car bomber struck Monday in the financial heart of Syria's capital, killing at least 15 people, damaging the nearby central bank. No one has claimed responsibility for the attack but such operations were claimed by Jabhat al-Nusra in the past. State-run Al-Ikhbariyeh TV station quoted Central Bank Governor Adib Mayaleh as saying the bank returned to work as usual at 1 p.m. Tuesday (1000 GMT) "despite the destruction" caused by the bombing. The Syrian Foreign Ministry sent two letters to the United Nations and the U.N. Security Council protesting the Damascus explosion, blaming "terrorists" who "receive financial and logistic support from regional states and other foreign nations." The Syrian National Coalition, the country's main opposition group, blamed Assad's regime for the bombing, saying "the intent is clearly to terrorize the people." It said the area where the explosion occurred is heavily-guarded. Elsewhere on Tuesday, activists reported violence in different parts of Syria. The Britain-based Syrian Observatory for Human Rights reported air raids on suburbs of the capital Damascus as well as the northern province of Raqqa and Idlib. Syria's crisis, which began in March 2011 with protests calling for Assad's ouster, then evolved into a civil war. The U.N. says more than 70,000 have been killed in the conflict.